February 9, 1954 -- The Chicago Park Fair corporation names the architectural firms of Holabird and Root and Burgee and Ralph H. Burke to make a world-wide survey of convention and exhibit halls with an eye toward building a state-of-the-art convention hall. The non-profit corporation was funded with Cook County's share of the one percent tax on race track betting. 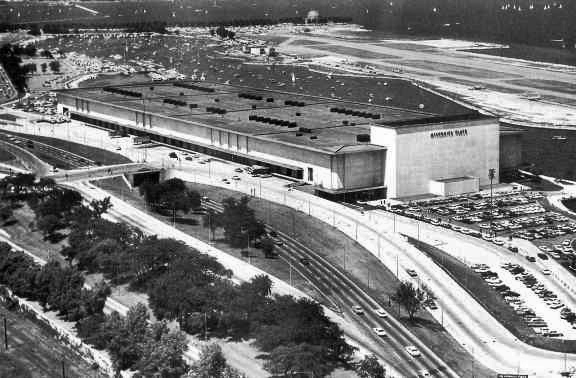 Ground would be broken on the hall, McCormick Place, in 1958 with its completion coming two years later. It lasted seven years until a spectacular fire on a frigid night in 1967 destroyed the structure.